Vision screening is not a comprehensive eye exam. It is a short examination that lets your primary care physician know if you have a vision problem or if there is a potential vision problem. Vision screenings do not diagnose exactly what’s wrong with your eyes, but instead they serve as a heads up telling you that you will need to make an appointment with an ophthalmologist or an optometrist for a more comprehensive eye exam. 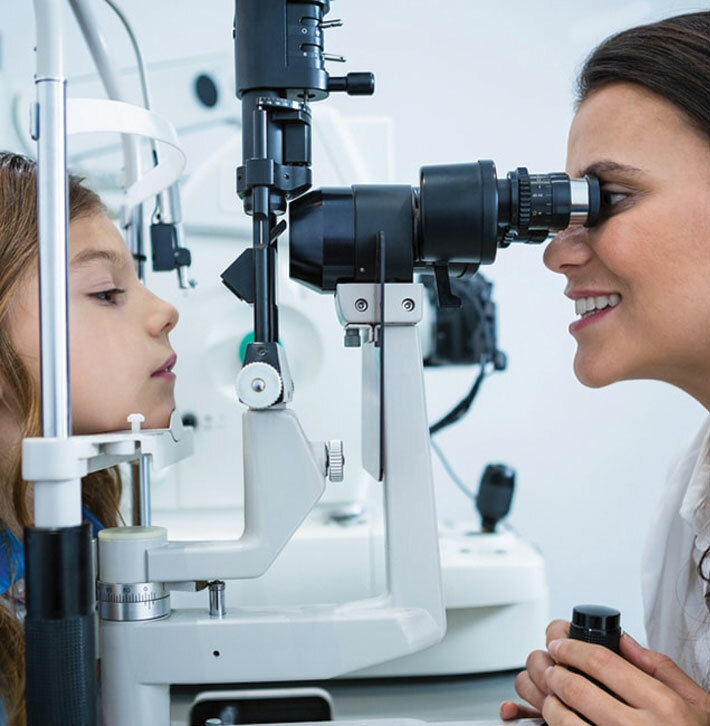 During a vision screening, your primary care physician will be helped to determine if the vision problem you are experiencing is related to normal age changes or if additional doctors, specialists, or treatments are needed. Good vision is key to your child’s development. It will determine how successful they are at school, how well they interact with others, and their overall well-being. While your child’s vision system is still developing as they grow older, they should be getting equal input from each of their eyes. It is the only way that their brain’s vision center can develop in a normal way. A child who has eyes that do not send clear images to the brain may develop limitations that cannot be corrected later on in life. Our primary care doctors understand the value of your child’s vision. We are committed to working with you to identify any problems early and treat them effectively. With age come health issues that affect our eyes. Thankfully, things like cataracts, glaucoma, diabetic retinopathy, and macular degeneration associated with age can be detected in midlife, even if they are not having a noticeable effect on your vision. You don’t have to lose your vision just because you have reached middle age. Vision screenings can help you to correct eye problems, even if you are not showing any symptoms or you do not have any risk factors. If you are diabetic or prediabetic, our compassionate team of primary care doctors will work with you to carefully monitor your vision as well as control your blood sugar, blood pressure, and cholesterol. Our team of primary care doctors is committed to providing comprehensive personalized care. We are not only concerned about your vision, but we are concerned about you as a person. Working with other specialties, we are able to provide coordinated care for patients regardless of their stage of life. Contact us today. Let us show you how we can help.